About the talk – The porcelain crabs (family Porcellanidae) belong to a group of crabs known as Anomura. They can be easily distinguished from brachyurans (true crabs) by a pair of long antennal flagella and a well-developed tailfan. As the common name defines, they have crab-shaped bodies and breakable legs that resembles “porcelain (chinaware)”. The large external mouthparts (third maxillipeds) bearing long setae also characterize porcellanids as typically suspension feeders, like barnacles (Cirripedia). Additionally, crabs of the genus Petrolisthes are called “stone sliders” because they are found clinging to the undersides of stones and smoothly and rapidly move on the surfaces. The porcellanids are common animals in the intertidal to shallow subtidal regions. As some species are reported as the most abundant animals there, they play an important role in the coastal ecosystem. Porcelain crabs occasionally have beautiful colorations – like jewels in the sea, which attract underwater photographers or SCUBA divers. There are still many species new to science that are awaiting formal descriptions. 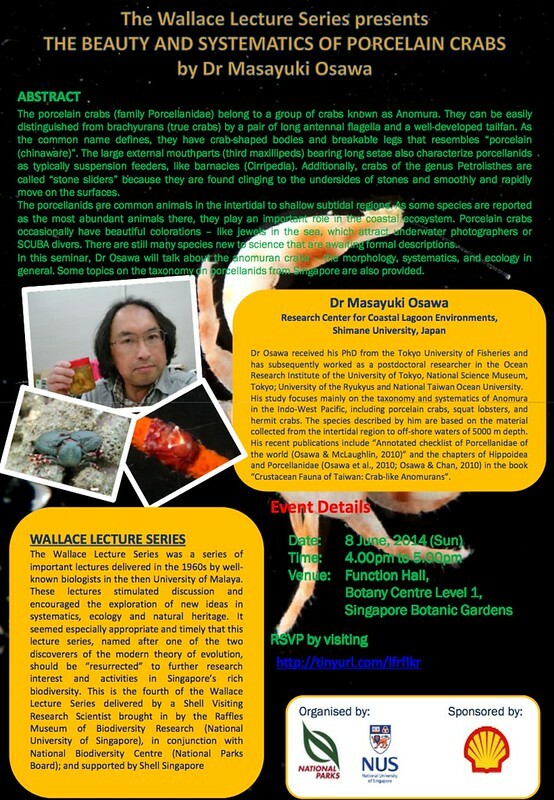 In this seminar, Dr Osawa will talk about the anomuran crabs – the morphology, systematics, and ecology in general. Some topics on the taxonomy on porcellanids from Singapore are also provided. About the speaker – Dr Osawa received his PhD from the Tokyo University of Fisheries and has subsequently worked as a postdoctoral researcher in the Ocean Research Institute of the University of Tokyo, National Science Museum, Tokyo; University of the Ryukyus and National Taiwan Ocean University. His study focuses mainly on the taxonomy and systematics of Anomura in the Indo-West Pacific, including porcelain crabs, squat lobsters, and hermit crabs. The species described by him are based on the material collected from the intertidal region to off-shore waters of 5000 m depth. 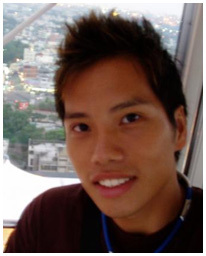 His recent publications include “Annotated checklist of Porcellanidae of the world (Osawa & McLaughlin, 2010)” and the chapters of Hippoidea and Porcellanidae (Osawa et al., 2010; Osawa & Chan, 2010) in the book “Crustacean Fauna of Taiwan: Crab-like Anomurans”. The Wallace Lecture Series was a series of important lectures delivered in the 1960s by well- known biologists in the then University of Malaya. These lectures stimulated discussion and encouraged the exploration of new ideas in systematics, ecology and natural heritage. 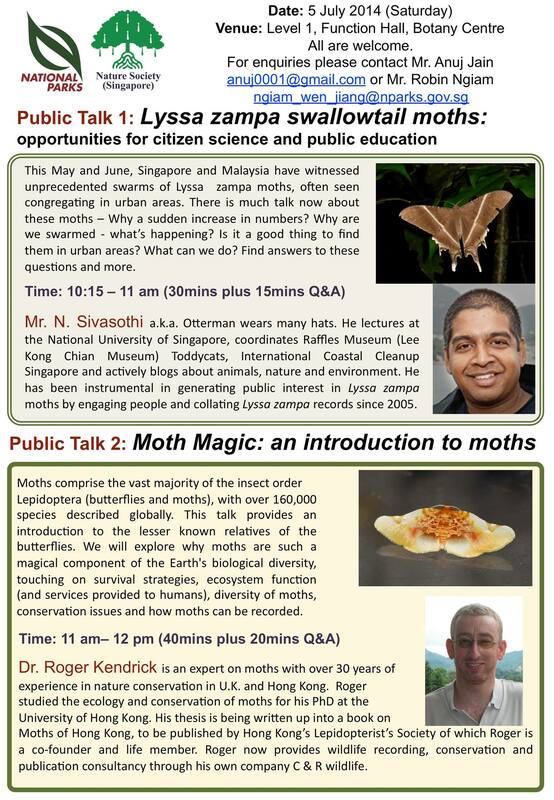 It seemed especially appropriate and timely that this lecture series, named after one of the two discoverers of the modern theory of evolution, should be “resurrected” to further research interest and activities in Singapore’s rich biodiversity. 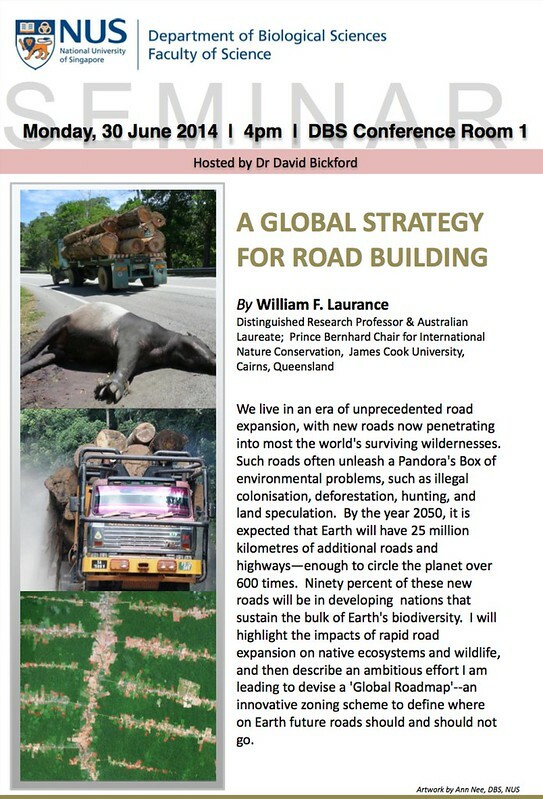 This is the fourth of the Wallace Lecture Series delivered by a Shell Visiting Research Scientist brought in by the Lee Kong Chian natural History Museum (National University of Singapore), in conjunction with National Biodiversity Centre (National Parks Board); and supported by Shell Singapore. We are recruiting an enthusiastic research assistant to participate in ongoing projects in population genetics. This position is primarily laboratory based, and the candidate should have a minimum of a Bachelor degree in science with skills and experience in basic molecular techniques. This position is a joint appointment with NUS and the Wildlife Conservation Society for 7 months. The salary will be commensurate with experience and previous research accomplishments. Interested candidates should send a cover letter or email, CV, and two recommendation letters to Theo Evans (dbseta@nus.edu.sg).